"Martin's dreamy, transportive photography has been commissioned by cultural institutions such as the National Theatre in Prague and the Czech National Ballet. Dozens of his images have also been used by New York publishers for the covers of mysteries and thrillers — genres he believes his work is perfectly suited to. He has created book covers for the biggest New York publishers, such as Harper Collins Publishers, Sterling Publishing and Penguin Random House." Amazing paintings of sci-fi Swedish landscape. 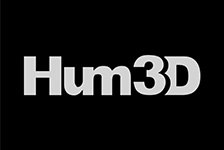 Humster3D makes and sells detailed 3d models that are used in movies and advertising. They have the biggest collection of cars in the Internet. Mpora is home to thousands of extreme sports videos, photos and articles. Great images, great stories. Royalty free stock photography agency that believes professional stock images should be affordable and accessible to everyone. Forged couple of great pieces such as: Ryse: Son of Rome cinematic, Killing Monsters teaser for The Witcher 3, Risen 3 game cinematic and also cool stuff for advert of Polish beer Zubr. Photographer and digital artist, Benedict Campbell has produced images for many of the worlds leading brands. He is renown for combining his skills as photographer and digital illustrator to create bold and often hyper-real images. Since 1995, Blur Studio has been creating award-winning visual effects, animation and design, applying its creative skills across various mediums. Cartoon Saloon is an Irish Animation Studio based in Kilkenny. It was recently nominated for an Academy Award (R) for Best Animated Feature film. The studio works with many diverse, international Clients such as Disney, BBC and Cartoon Network.